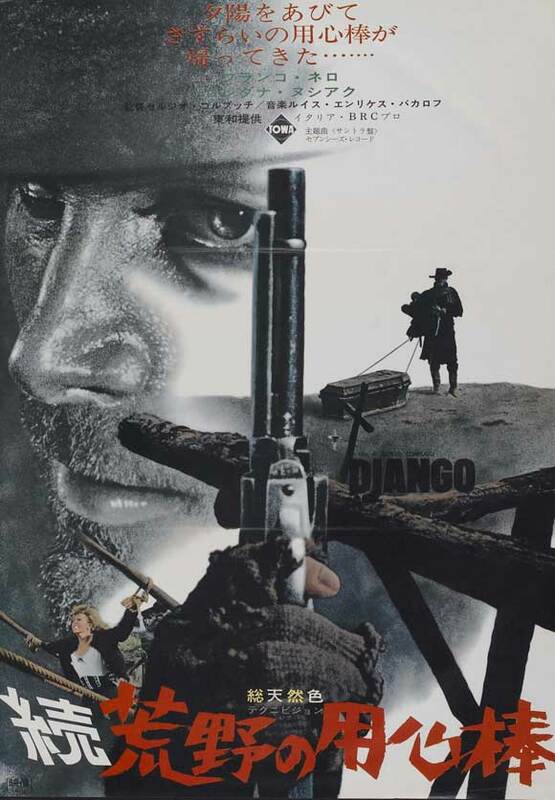 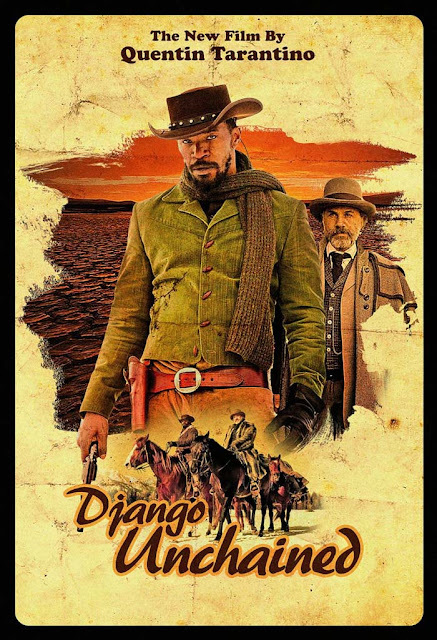 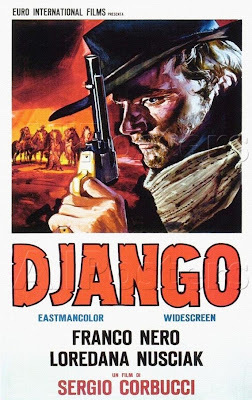 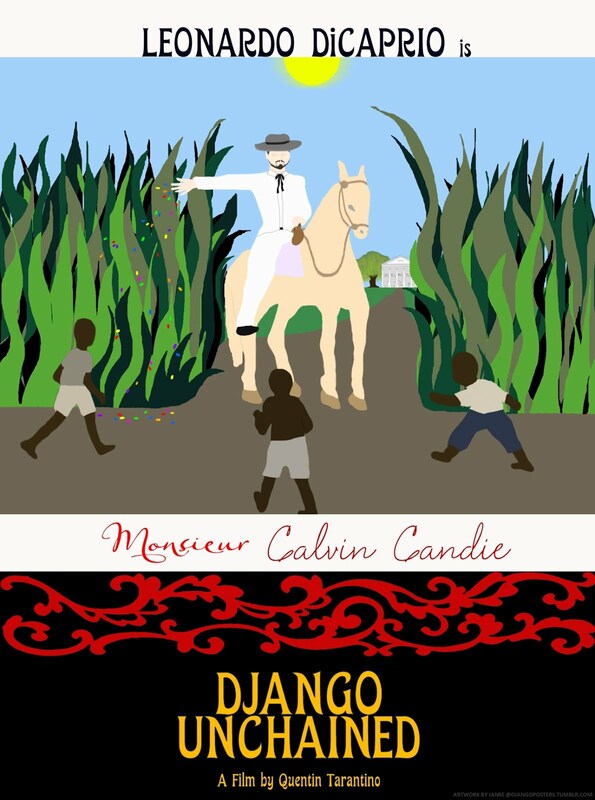 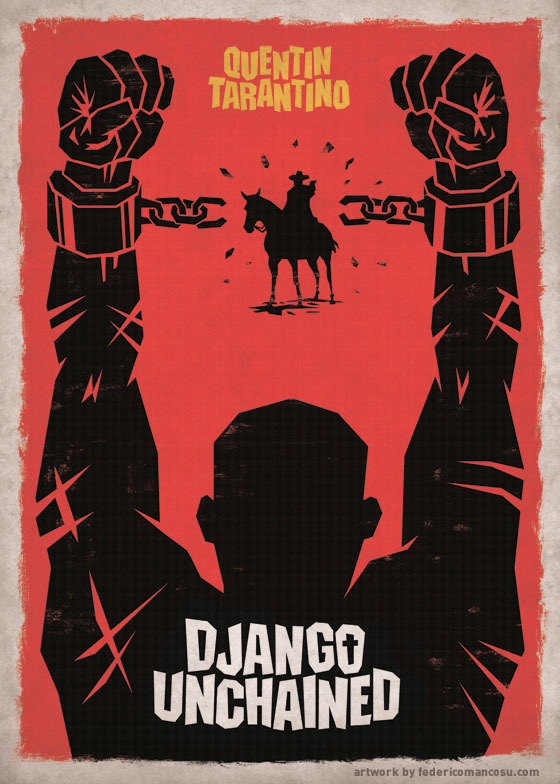 If It's Hip, It's Here (Archives): Django Unchained: The Official Teaser Poster, 20 Great Fan Posters and a look at the 1966 Django Movie Posters. 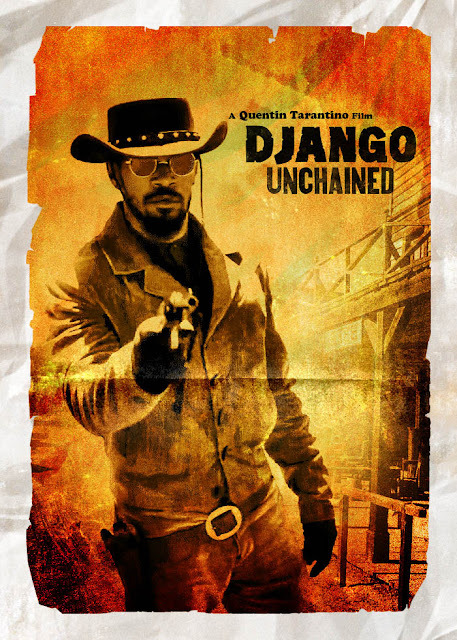 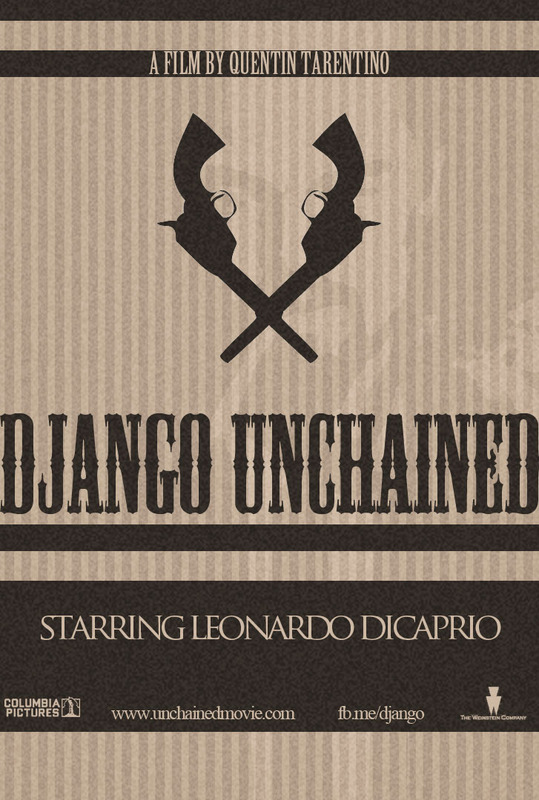 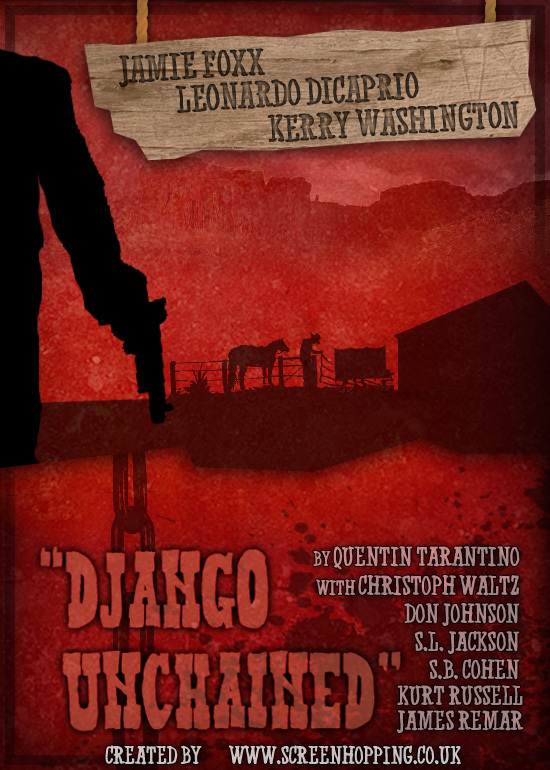 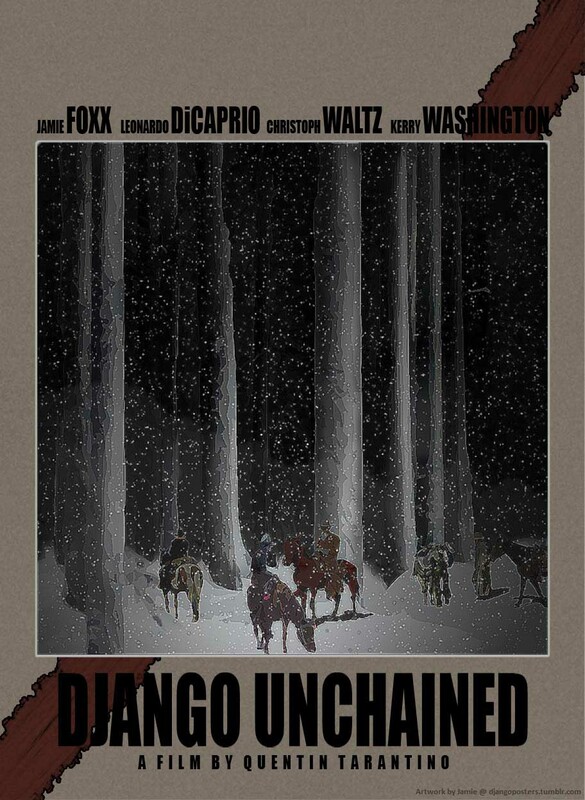 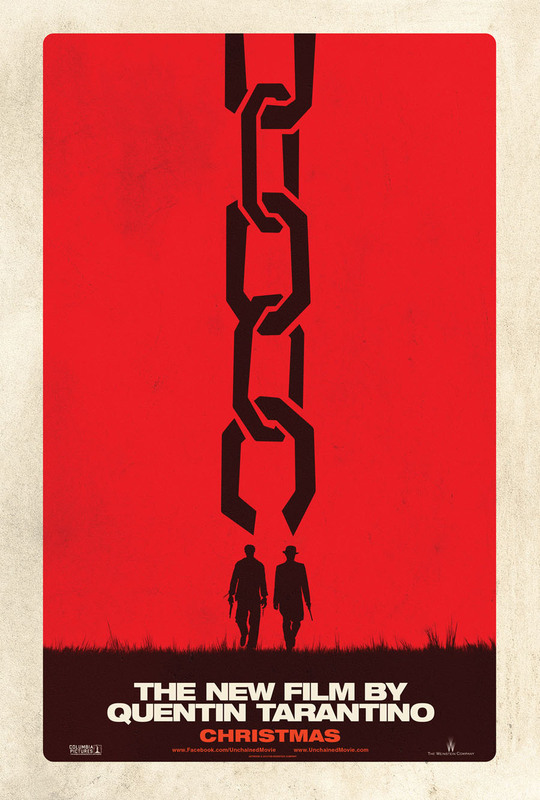 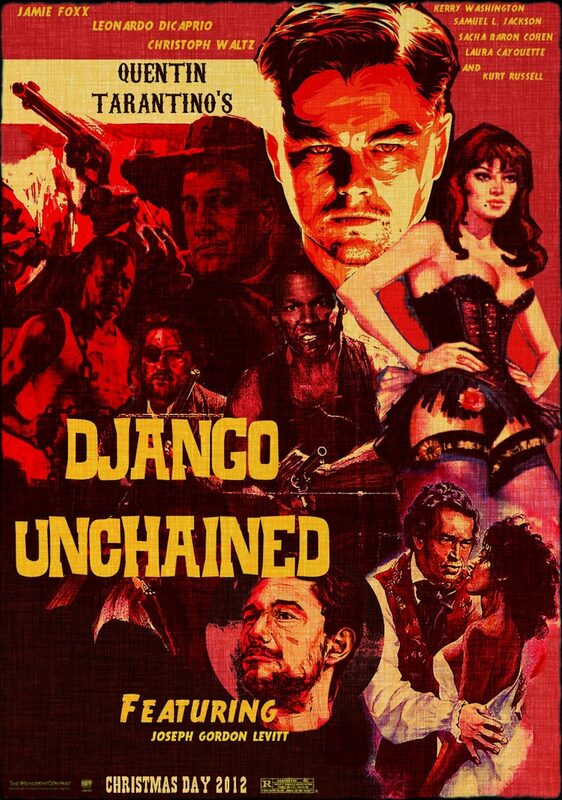 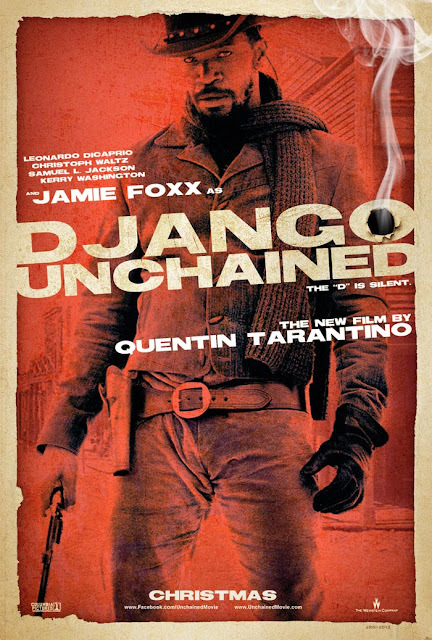 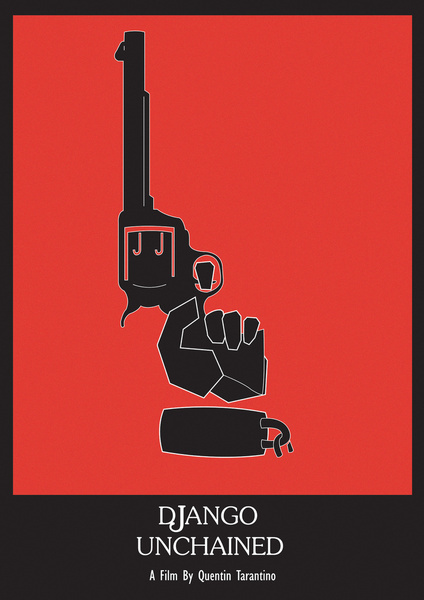 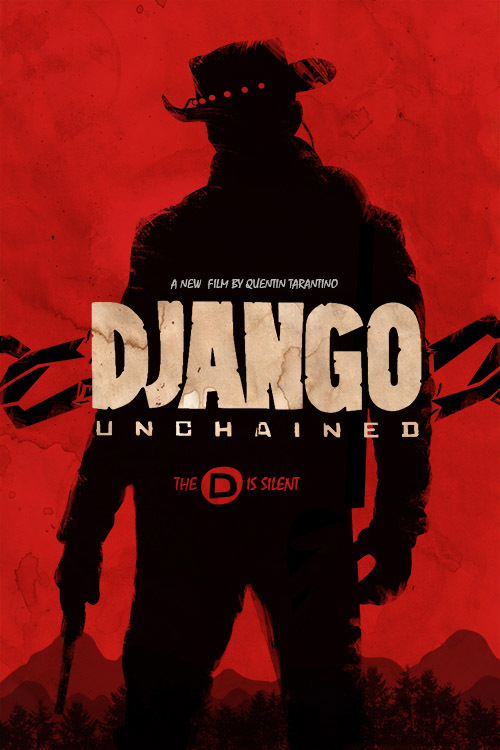 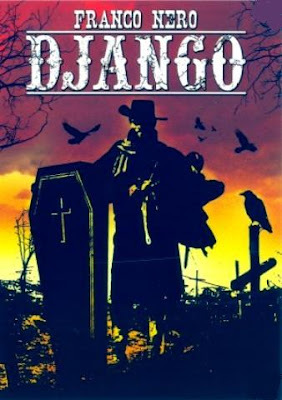 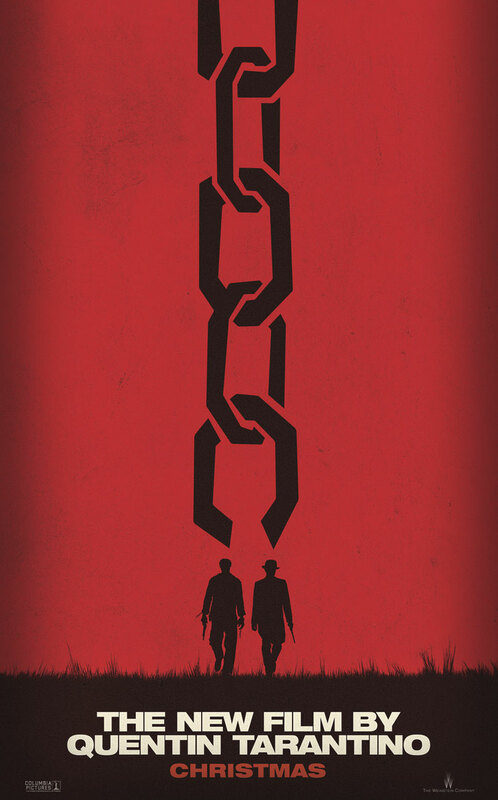 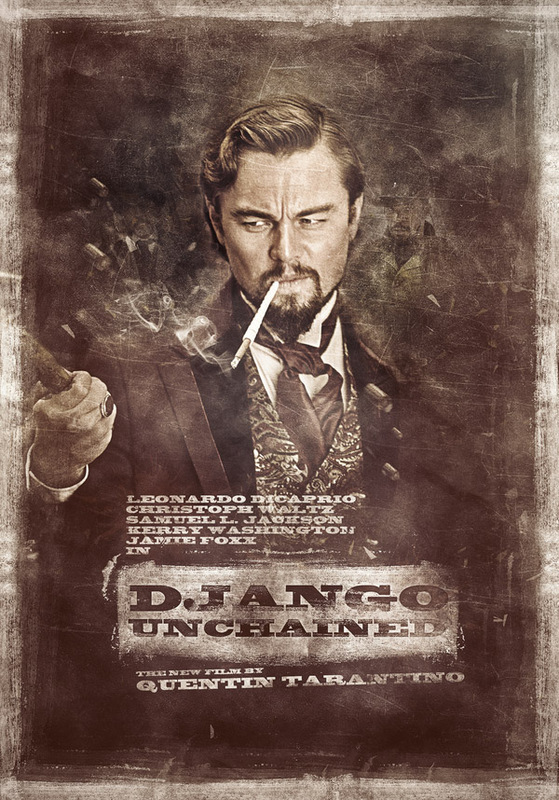 Django Unchained: The Official Teaser Poster, 20 Great Fan Posters and a look at the 1966 Django Movie Posters. 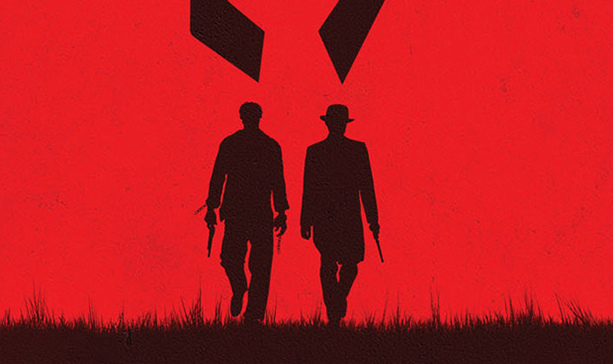 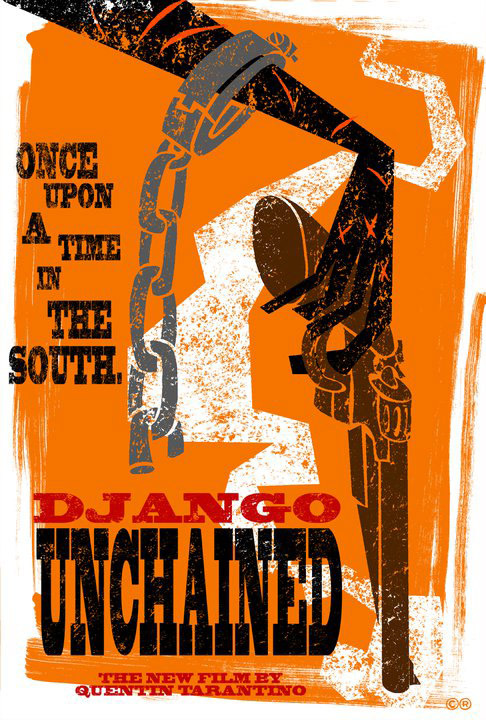 The official teaser movie artwork and poster designed by BLT Communications for Quentin Tarantino's "Southern" (don't call it a Western), Django Unchained, has been released. 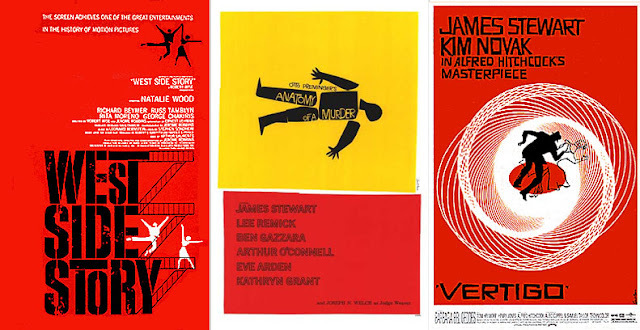 The stylized graphic poster resembles those by the magnificent Saul Bass (whose West Side Story, Anatomy of A Murder and Vertigo movie posters are shown below) with its minimal color ink and flat two dimensional imagery. The movie has inspired many designers and artists to create some of their own. 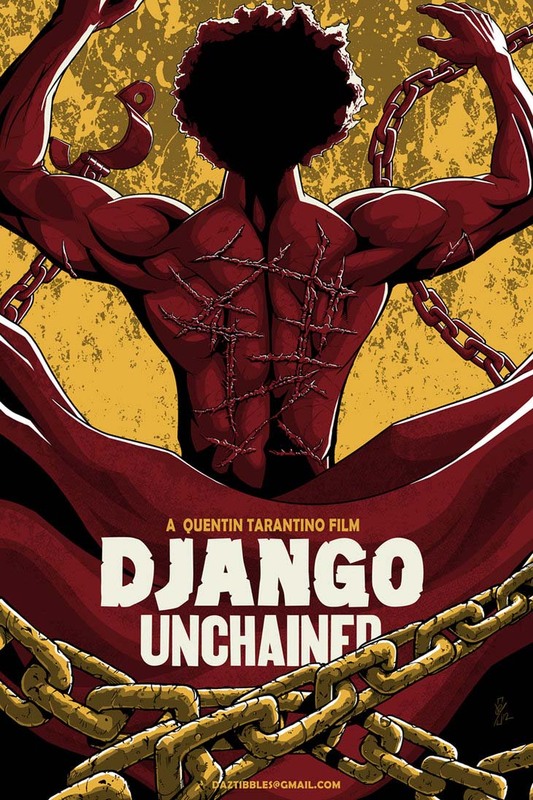 I have compiled a large gallery of fan posters by scouring some of the best-known artist portfolio sites on the web, such as Society6, Deviant Art and Behance and other individual sites to share them with you. 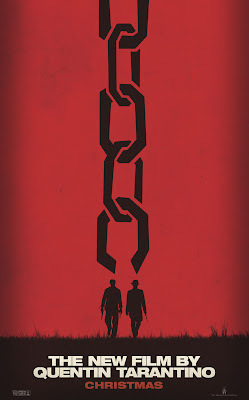 I've even included credits and links to purchase them as art prints, where available, for you. 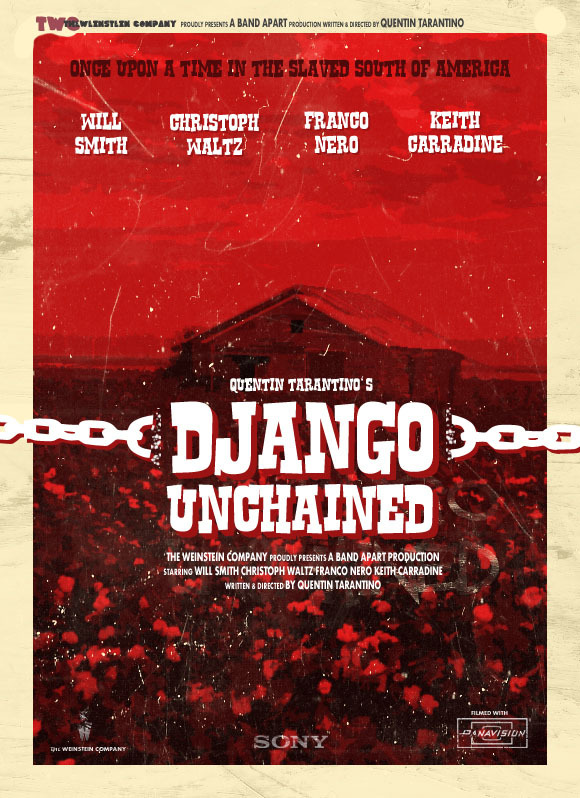 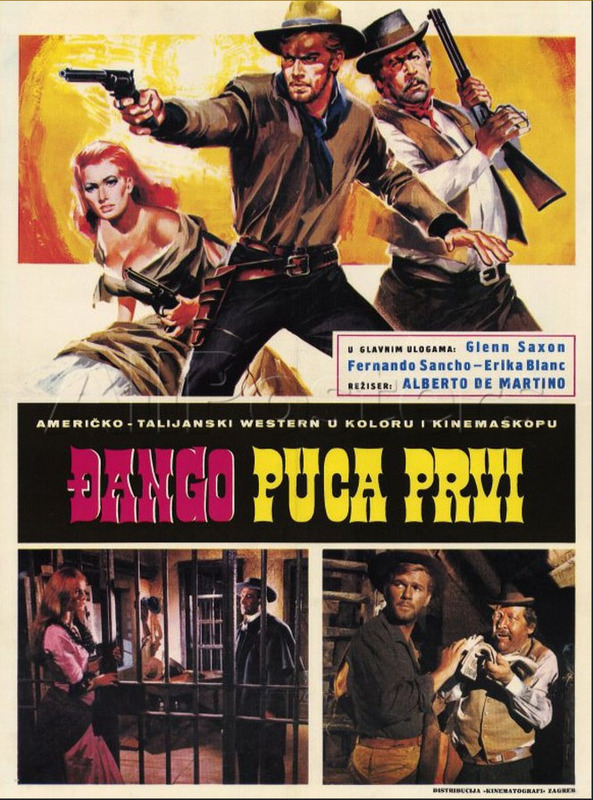 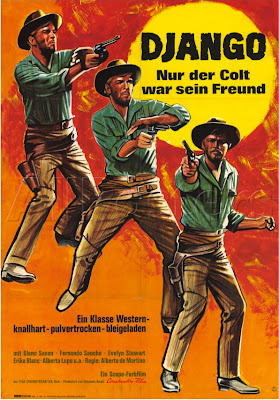 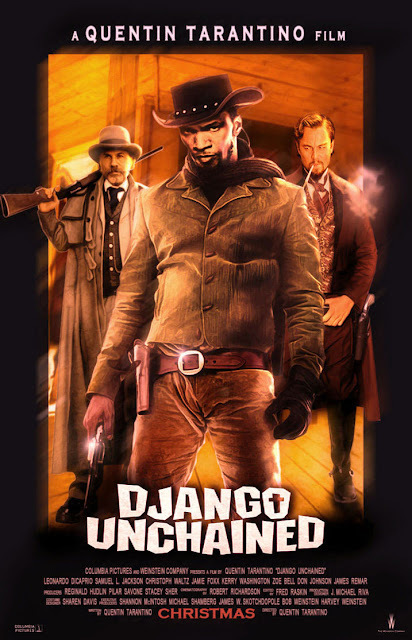 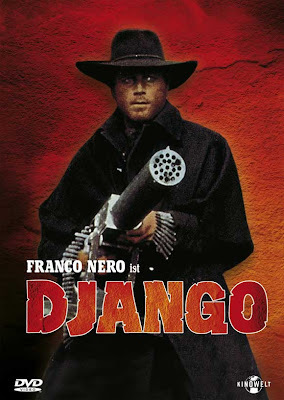 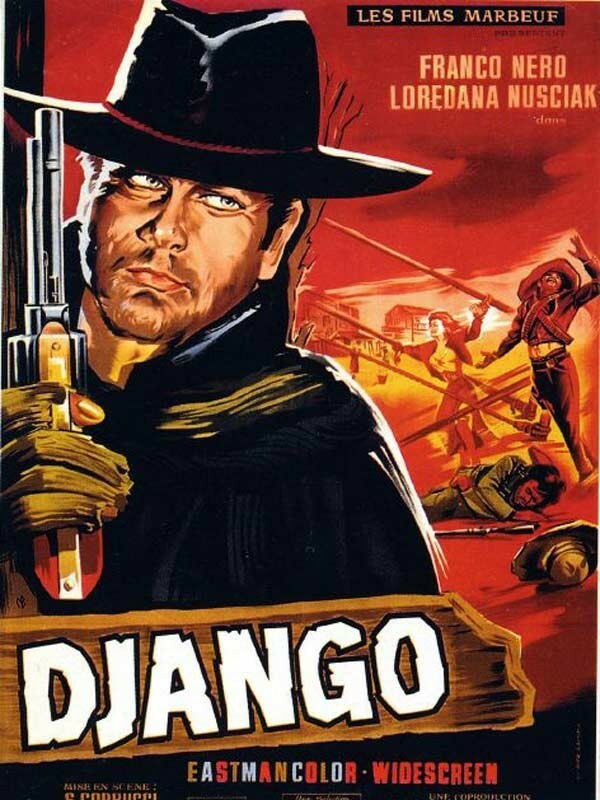 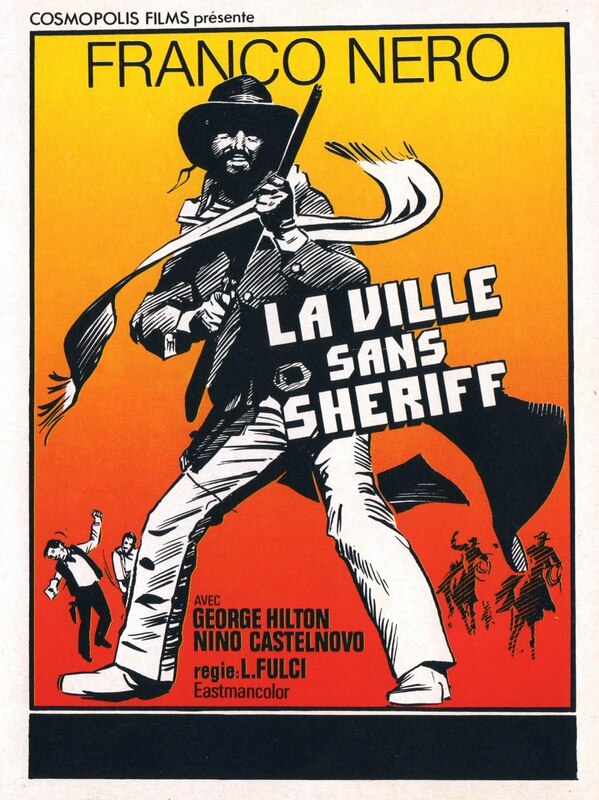 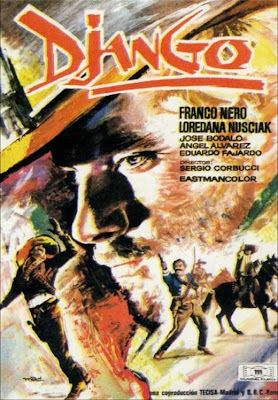 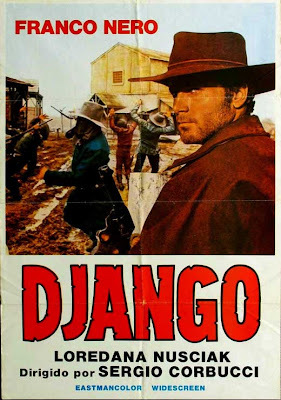 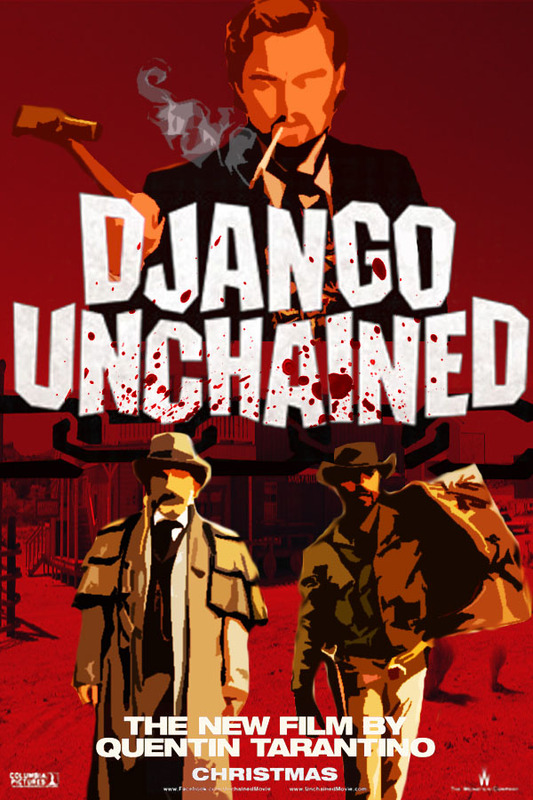 While Quentin Tarantino's Django Unchained (scheduled for release on December 25, 2012) isn't a remake of the 1966 Django Western starring Franco Nero, it is in the "shoot-em-up" genre of Spaghetti Westerns and comparing the new posters to the 1966 movie posters is very interesting - especially given the 'retro' Saul Bass-like design of the official 2012 movie poster. 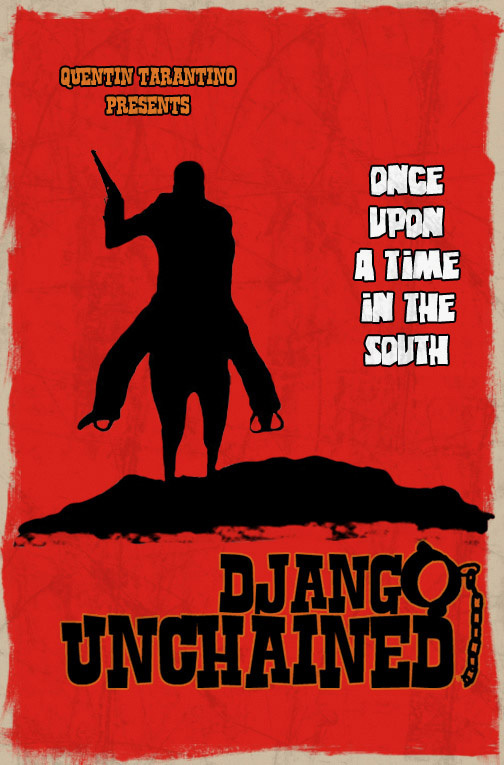 Since the movie isn't scheduled for release until about six months from now, I'm sure we'll be seeing many more fabulous non-official posters for Django Unchained - and I intend to keep you updated. 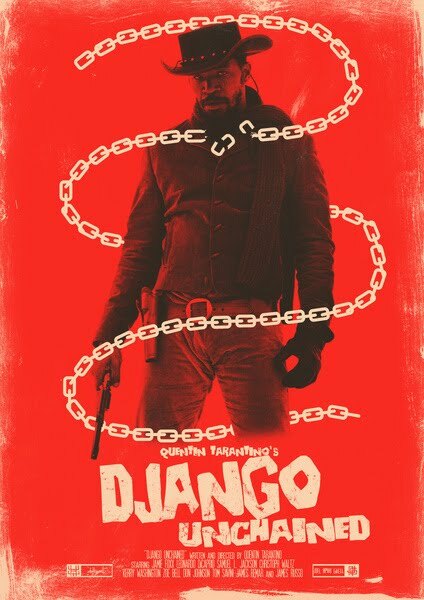 See all Int'l versions of the official teaser poster here.